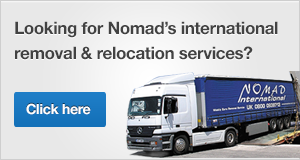 Nomad is famous for its part-load shipments to Greece (especially our removals to Greece, where we simply charge our clients on a per cubic foot basis to make their removals as cost effective as possible). But sometimes people prefer the convenience of a dedicated full truck load, and we are happy to help with this too of course. We’ve conducted full truck load removals to many of the Greek islands, including Crete, Kefalonia, Mykonos and others, as Athens of course. 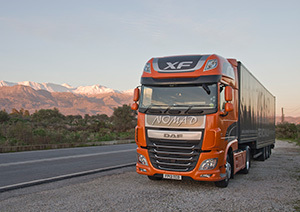 By dedicating an entire truck to one customer, we can provide more specific departure and arrival timings, and for very large volumes this method can be more cost-effective. We can also accommodate vehicles within the truck space, including cars, motorbikes and small boats. Besides our removal services, we send full load shipments to Greece for commercial clients, mostly to the industrial centres of Elefsina and Aspropyrgos around Athens. Hoteliers also utilise our services for transporting hotel furniture to Greece, either on a part-load or full-load basis. With all of these shipments, the benefits of our overland transport service compared to sea container shipping (FCL or LCL) are enormous. Not only is our service faster more reliable, it eliminates the need for onerous customs paperwork and the potential for lengthy delays at the ports. 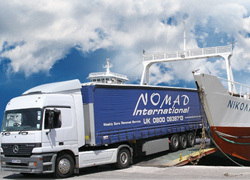 Naturally we can also provide full dedicated truck load services from Greece and the Greek islands too. We’ve conducted large removals for clients on a dedicated basis from all over Greece, including Crete, Corfu and of course Athens. Please let us know your requirements and we will be happy to work out the best solution for you.